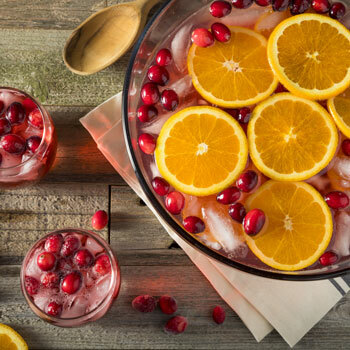 Combine all ingredients (except seltzer water) in a large punch bowl and stir. Pour seltzer water in just prior to serving. Ladle into frosty glasses and float with an orange wheel and additional ice cubes as desired. In a small sauce pan combine water, sugar and Lemongrass tea bag, bring to a boil, stir until sugar is dissolved. 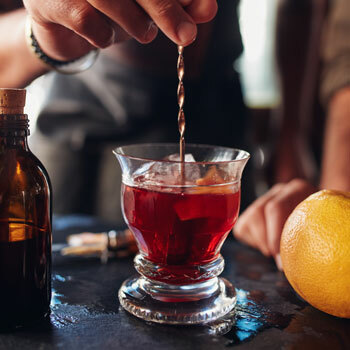 Turn off the heat and allow the simple syrup to cool. Refrigerate (and can be stored for up to a month in an air tight container in the refrigerator).